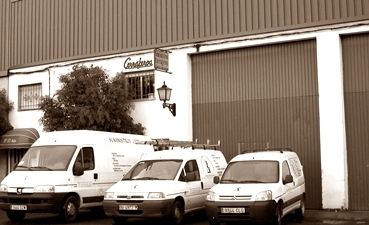 Founder and current manager of SUCERMIÑO, S.L., began his career with an own project of distribution, storage and marketing focusing also on the incipient need all the accessories specific metallic carpentry: hinges, locks, rivets, bolts, electrodes and accessories for all types of doors and shutters. Our company was a pioneer in the beginning of the replacement of the cast iron by the die-cast aluminium with the advantages that this entails, in addition to the initiation of the coating baked avoiding maintenance that caused corrosion and rust. Are also precursors in the introduction, marketing, and distribution of artistic, very uprooted forging until then because of its costs, with prices and finishes very affordable. In this way, and under the previous assumptions, melts supplies Locksmiths under the need for an efficient and effective service customer; service that we have been modernizing and adapting with the passage of time, always selling the latest or newest market to provide the discerning with the latest articles. On the other hand, in the year 2000, at the time of modernization and change, born SUCERMIÑO automation section; and born - without prejudice to our customers-with the main aim to remedy the growing demand for products in the field of automations and different types of doors. In the automation section, as in the other, we have qualified personnel for the installation of any type of door sliding, folding doors, garage doors, roller shutters... as well as installation, management and maintenance of sectional doors (either residential or industrial), high speed doors (shutters or folding) and parking barriers. Currently, our range of products covers all the materials you may need for the automation of any type of door in a way that is easy, simple and quality. 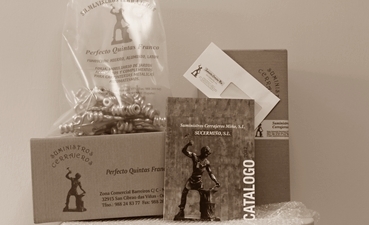 In addition, and with the brilliant appearance of stainless steel in the world of Locksmiths and metal carpentry, SUCERMIÑO S.L., in its competitiveness and improve the service to its customers, in 2008 absorbs the section of stainless steel the company G-3 Import Team staying with all its material in stock. As a result, and after a strong investment, we can offer very advantageous prices the competition in all kinds of stainless steel accessories. For everything that we have done, do and will do for you, our slogan is SUMINISTROS CERRAJEROS, your provider more complete. Our mission is to provide a quality product that meets the needs and expectations of our customers. Thanks to our knowledge and experience, we provide our clients the product suitable to their requirements, and if not we have it within our wide range of products, we seek it. In SUCERMIÑO, S.L. the quality of material and service always offered at very competitive prices. Our vision is that SUCERMIÑO, S.L. will become a reference in the market, supplying our products both nationally and internationally. We want to be a prestige brand recognized for its reliability, quality and commitment with our clients. Our service is characterized by a goal clear, which is to overcome every day and so promote attention and service to the customer, the quality and competitiveness of our products, as well as adapt to the rules and regulations of the current market. 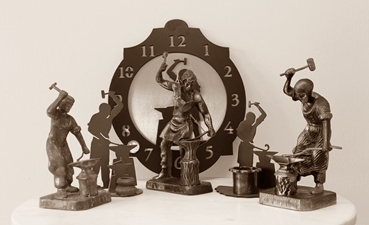 Today, time is the main factor to consider, and supply orders to customers in the shortest time possible, vital. To do this, the key lies in the ability to respond with more than 5000 references in stock as well as have a good distribution network, whether it is own in the Northeast or through outsourcing in other destinations. Every day we strive on improving the existing product as well as the achievement of innovative designs of articles. Proof of this is the continuous improvement and expansion of our catalogue for further ease of reference of end users.